Sometimes you hope memories will bring folks back and give them the inspiration to want to be a part of something special again. However memories might be keeping them away in the first place. Memories can be great but they can also obscure our view of the current reality of a situation. 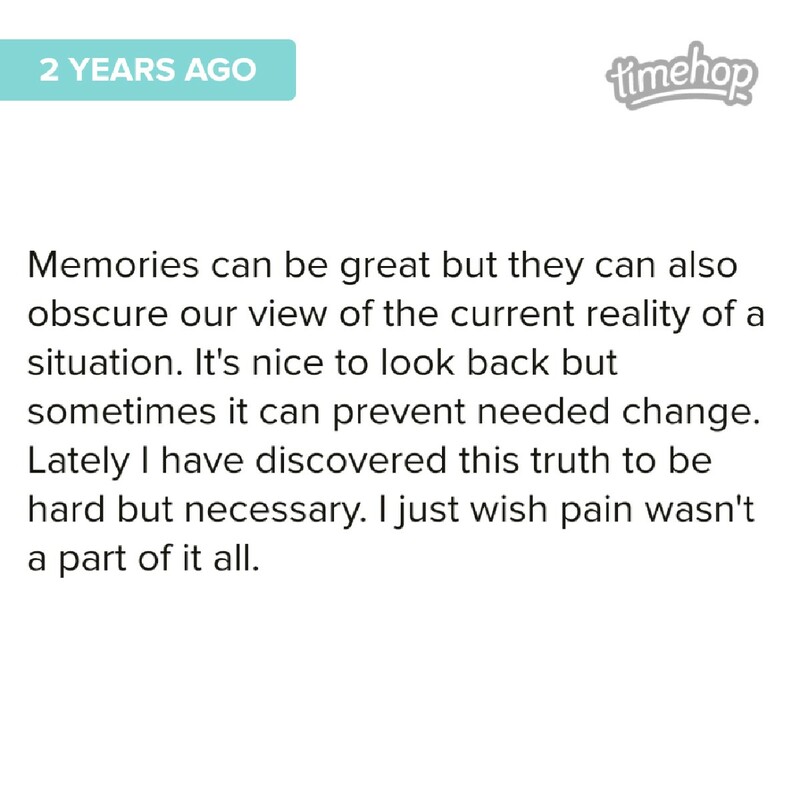 It’s nice to look back but sometimes it can prevent needed change. Lately I have discovered this truth to be hard but necessary. I just wish pain wasn’t a part of it all. Originally posted on Facebook in 2014. Memories can get in the way of change if one let’s it. We all want things the way they used to be and it can’t happen that way. Bitstrips is going away and I am sad. It was a great way to tell my story in a humorous way. It was a popular service at one time allowing its users to share in comic format. It joins many other services on the web that are shuttering to make way for new things to capture our imagination and attention. Snapchat bought Bitstrips for $100 million. Farewell my old friend. It’s interesting how memories and longing pulls us back to a place in time. There are also situations that make you yearn for better days. Our memories are tied into our emotions and its interesting how all that makes you feel. With that being said it makes it hard to live in the moment.